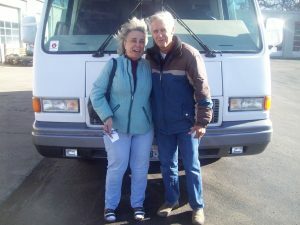 Hancock RV will install the perfect flat screen TV in your RV. Compliment that flatscreen with a custom built cabinet that protects your RV electronics when driving or not in use. 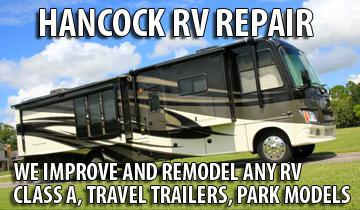 Hancock RV will install surround sound for your media. Properly installed surround sound is priority for movie lovers everywhere. Hancock RV will install a custom cabinet for your media players, CDs DVDs Blu-Ray, iPods and more will have a home, and connect to the rest of your RV electronics seamlessly. The in-dash GPS systems are a life-saver while on the road. Hancock will install or replace a GPS system for your unit. Hancock will mount satellite TV antennas on your roof, and wire it into your home theater system. Combine work with play? A computer workstation complete with connectivity to the home theater/surround system enables multimedia streaming of music and video as well as gaming. Work might just get done as well.